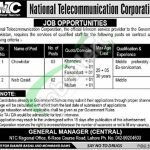 Here at this page, you’ll have NTC Jobs February 2019 National Telecommunication Corporation Lahore. Jobs in NTC National Telecommunication Corporation are available, as NTC is the official Telecom service provider to the Government of Pakistan and it is looking to recruit following positions for which it invites application from the Under-Matric individuals for the following positions. Jobs in NTC - National Telecommunication Corporation are such as (Chowkidar and Naib Qasid) and these positions are based at Lahore. Earlier NTC Jobs 2019 NTS were announced for which applicants from all over Pakistan are welcome to apply. Appointment of above mentioned positions will be done on purely contract basis for a period of one year which will be renewed annually on the basis of satisfactory performance. Candidates desiring to apply should possess relevant qualifications such as minimum Matric degree / Middle is required for all positions and 30 years age is required for all positions. For interested candidates meeting criteria we have provided complete how to apply procedure in the very next heading all you have to do just read it carefully and apply accordingly. The last date of submission of application is 11th February 2019. Incomplete date or information or any wrong information by an applicant shall result in his disqualification at any stage even after selection. Only eligible/shortlisted candidates shall be called for test/interview. No TA/DA would be admissible for test/interview. Candidates should bring original documents at the time of interview. 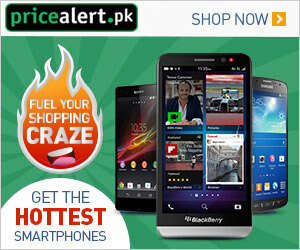 Stay in touch with us and keep visiting our site JobsAlert.pk for latest jobs. Last Date to Apply: February 11, 2019. Address: NTC Regional Office, 6-Race Course Road, Lahore.